Cleaning products and coatings developed to target specific contaminanats and protect exterior surfaces. 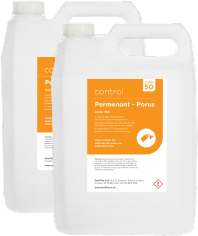 Whatever contaminant, whichever surface material, OneFifty knows how to achieve the best possible cleaning outcome whilst mitigating risk of damage. We have developed a range of cleaning products to target specific contaminants, as well as coatings to help protect against graffiti attacks. Aerosol spray, emulsion and gloss paint, marker pens or waxy products, whatever was used to graffiti your wall we can remove it - without trace. We can apply a coating to help protect any exterior surface from repeat graffiti attacks. All of our coatings are tried, tested and proven to work. 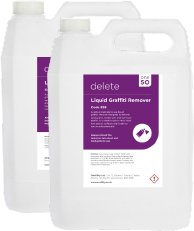 OneFifty specialises in the removal of graffiti. In addition to SteamPLUS we have an arsenal of cleaning products to help ensure that we achieve outstanding results. Aerosol spray, emulsion and gloss paint, marker pens or waxy products, whatever was used to graffiti your wall we can remove it without trace. We can apply a specialist coating to help protect an exterior surface from graffiti attacks. From a temporary, reversible sacrificial coating to a resin based option with a 20 year guarantee, we can advise on the best coating to suit your requirements.